Congress established the Territory of Minnesota. Slavery was prohibited in the new territory. Minnesota was admitted to the Union as the 32nd state. Henry M. Rice and James Shields, both of St. Paul, took the oath of office as Minnesota's first two U.S. senators. Both Rice's and Shields's elections were contested, but both were eventually seated. 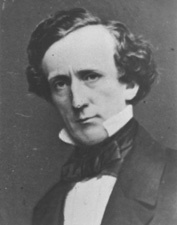 Shields holds the distinction of being the only senator to represent three separate states: Illinois (1849-1855); Minnesota (1858-1859); Missouri (1879). Henry M. Rice and James Shields drew lots to determine their class assignments. Shields drew Class 1, for the term to expire March 3, 1859. Rice drew Class 3, for the term to expire March 3, 1863. 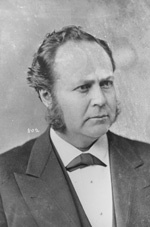 William Windom of Winona became chairman of the Senate Committee on Appropriations, a position he held from 1876 to 1879. 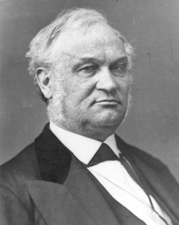 The Senate confirmed the nomination of former senator Alexander Ramsey of St. Paul as secretary of war under President Rutherford B. Hayes. He served in the cabinet until March 5, 1881. The Senate confirmed the nomination of Senator William Windom as secretary of the treasury. Windom resigned his Senate seat two days later and served as treasury secretary under Presidents James A. Garfield and Chester A. Arthur, from March 8, 1881, to November 13, 1881, when he resigned to return to the Senate. Windom's nomination as treasury secretary was again confirmed by the Senate on March 4, 1889. He served his second term under President Benjamin Harrison from March 7, 1889, to January 29, 1891. 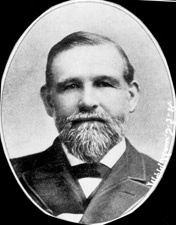 Samuel J. R. McMillan of St. Paul became chairman of the Senate Committee on Commerce (today's Committee on Commerce, Science, and Transportation), a position he held from 1881 to 1887. 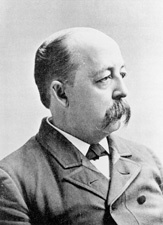 William Windom became chairman of the Senate Committee on Foreign Relations, a position he held from 1881 to 1883. 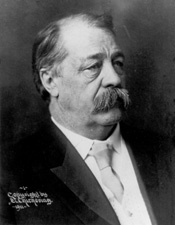 Cushman K. Davis of St. Paul became chairman of the Senate Committee on Foreign Relations, a position he held from 1897 to 1901. 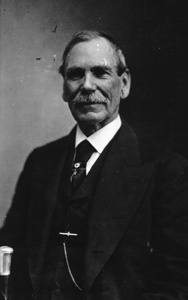 Moses E. Clapp of St. Paul became chairman of the Senate Committee on Indian Affairs, a position he held from 1905 to 1911. Knute Nelson of Alexandria became chairman of the Senate Committee on Commerce (today's Committee on Commerce, Science, and Transportation), a position he held from 1911 to 1913. Congress officially unveiled a marble statue of Henry M. Rice, one of Minnesota's two contributions to the National Statuary Hall Collection. The 7-foot, 7-inch marble statue is the work of artist Frederick E. Triebel. 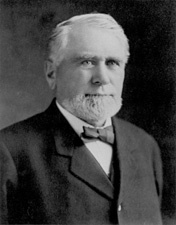 Frank B. Kellogg of St. Paul became Minnesota's first directly elected senator following the adoption of the Seventeenth Amendment. 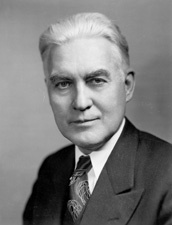 Knute Nelson became chairman of the Senate Committee on the Judiciary, a position he held from 1919 to 1923. The Senate confirmed the nomination of Pierce Butler of Ramsey County as the 63rd associate justice of the Supreme Court. Knute Nelson, Minnesota's longest-serving senator, died in office. One of only two Civil War veterans still serving in the Senate at the time of his death, Nelson had been a senator since March 4, 1895, serving for 28 years, 1 month, and 25 days. The Senate confirmed the nomination of former senator Frank B. Kellogg as secretary of state under President Calvin Coolidge. Kellogg would go on to win the 1929 Nobel Peace Prize for his work on the Kellogg-Briand Pact, which denounced war as an instrument of national policy. The Senate voted to allow Thomas D. Schall to retain his Senate seat. 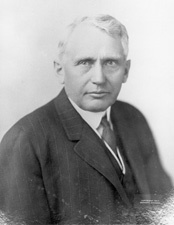 Schall had defeated incumbent senator Magnus Johnson in the 1924 election. On February 2, 1925, with just a month remaining in his Senate term, Johnson announced that he planned to contest Schall's election. Schall faced another challenge in 1930, when Einar Hoidale contested his reelection to the seat. Once again, the Senate voted to dismiss charges of fraud and allowed Schall to retain his seat. Henrik Shipstead of Minneapolis delivered George Washington's 1796 Farewell Address to the U.S. Senate, a tradition dating to 1862. Future senator Wendell Anderson of St. Paul represented the United States in the 1956 Olympic Games in Cortina, Italy, as a member of the U.S. hockey team. Anderson and his teammates took home silver medals. 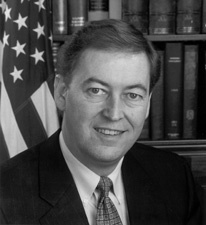 Anderson served in the U.S. Senate from December 30, 1976, until his resignation on December 29, 1978. Hubert H. Humphrey of Minneapolis delivered George Washington's 1796 Farewell Address to the U.S. Senate, a tradition dating to 1862. Congress officially unveiled a bronze statue of Maria L. Sanford, Minnesota's second contribution to the National Statuary Hall Collection. The 6-foot, 11-inch bronze statue is the work of sculptor Evelyn Raymond. 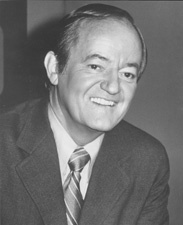 Hubert H. Humphrey was elected as the Senate's Democratic whip. He served in that position for four years. Walter F. Mondale of Minneapolis was appointed to fill the vacancy caused by the resignation of Hubert H. Humphrey for the term ending January 3, 1967. 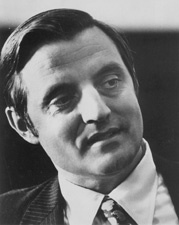 Senator Mondale was elected to a full term in 1966, reelected in 1972, and served from December 30, 1964, until his own resignation to become vice president on December 30, 1976. Having resigned his Senate seat on December 29, 1964, following his election as vice president of the United States, Hubert H. Humphrey took the oath of office, serving with President Lyndon B. Johnson. 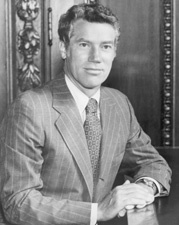 After four years as vice president, and an unsuccessful run for the presidency in 1968, Humphrey returned to the Senate in 1971 and served until his death on January 13, 1978. The Senate confirmed the nomination of Harry A. Blackmun of Minnesota as the 87th associate justice of the Supreme Court. 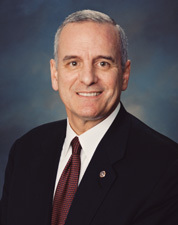 Future senator Mark Dayton of Minneapolis served as legislative assistant to Senator Walter F. Mondale from 1975 to 1976. The Senate passed S. Resolution 17, 95-1, which provided that "any Member of the Senate who has held the Office of President of the United States or Vice President of the United States shall be a Deputy President pro tempore," thus making former vice president Hubert H. Humphrey deputy president pro tempore of the Senate. Humphrey served until his death on January 13, 1978. Having resigned his Senate seat on December 30, 1976, following his election as vice president of the United States, Walter F. Mondale took the oath of office, serving with President Jimmy Carter. Mondale served in that office for four years. In 1980 he and Carter ran unsuccessfully for reelection, losing to Ronald Reagan and George H. W. Bush. Muriel Buck Humphrey of Waverly became Minnesota's first woman senator when she was appointed to fill the seat left vacant by the death of her husband, Senator Hubert Humphrey. Muriel Humphrey served until November 7, 1978, and was not a candidate for election to the unexpired term. President Jimmy Carter posthumously awarded the Presidential Medal of Freedom to Senator and Vice President Hubert H. Humphrey for his "passion for social justice," his "joyous love of his fellow human beings," and for ennobling the political process. The Senate formally unveiled a marble bust of former vice president Hubert H. Humphrey in the Capitol. Part of the Senate Vice Presidential Bust Collection, the bust was carved by Walker Kirtland Hancock and had been completed in 1982. 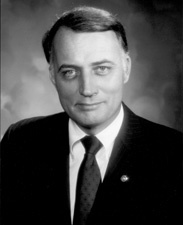 Former senator and vice president Walter F. Mondale ran unsuccessfully for president of the United States on the Democratic ticket, losing the election to the incumbent president Ronald W. Reagan. Senator Rudy Boschwitz of Wayzata was chosen to serve as chairman of the Republican Senatorial Campaign Committee. He held that position for two years. The Senate commissioned a marble bust of former vice president Walter F. Mondale for the Senate Vice Presidential Bust Collection. The marble bust was carved by artist Judson R. Nelson and placed in the Capitol in 1988. Senator David F. Durenberger of Minneapolis was denounced for reprehensible conduct, and for bringing the Senate into dishonor and disrepute. Durbenberger was charged with unnethical conduct in connection with his business transactions, failure to report receipt of travel expenses, acceptance of prohibited gifts of limousine service for personal use, and conversion of campaign funds to personal use. 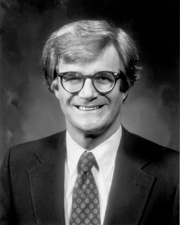 Durenberger, who had served in the Senate since November 8, 1978, did not run for reelection in 1994. Former senator and vice president Hubert H. Humphrey was featured on a U.S. postage stamp, one of the "Great Americans" series. Rod Grams of Ramsey received the Golden Gavel Award for presiding over the Senate for 100 hours in a single session. Mark Dayton of Minneapolis received the Golden Gavel Award for presiding over the Senate for 100 hours in a single session. 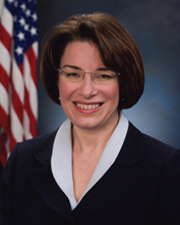 Amy Klobuchar of Plymouth, Minnesota's second woman senator, received the Golden Gavel Award for presiding over the Senate for 100 hours in a single session. 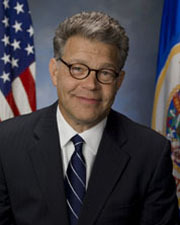 Al Franken took his oath of office as a United State Senator eight months after his election. Franken's election had been contested by the incumbent senator Norm Coleman. After a lengthy recount of ballots, the Minnesota state supreme court decided the election in Franken’s favor. Al Franken received the Golden Gavel Award for presiding over the Senate for 100 hours in a single session. He earned a second Golden Gavel Award in November 2011.